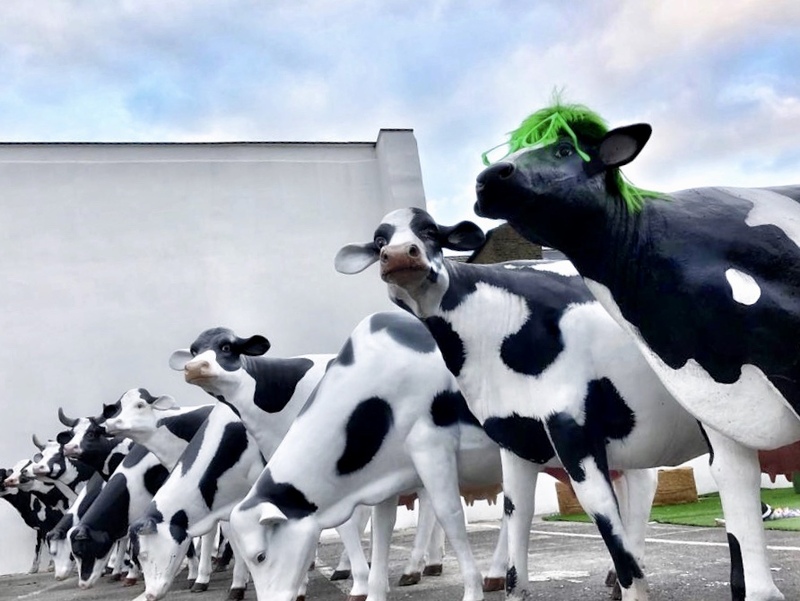 In support of Veganuary a happy herd of cows dubbed ‘The Cricklewood Cow Crew’, have taken it upon themselves to stretch their legs and set up a new home right outside Theme Trader’s London HQ, and have been left to their own devices until the end of January. 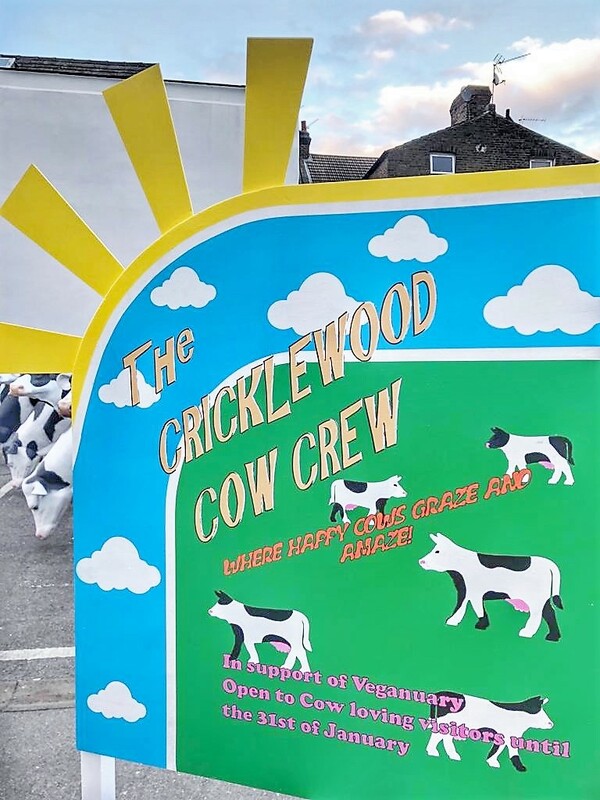 They’ve been welcoming visitors with open hooves, so if you are in the NW London area feel free to stop by for a graze and prepare to be moooved! So far they’ve been singing their hearts out, predicting the weather, taking a strolls around Cricklewood and have even boarded a TFL bus! 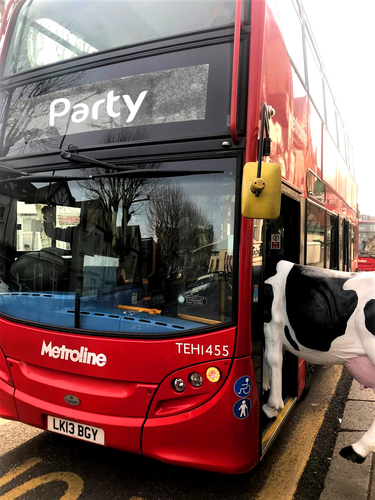 Local resident, the colourful Cricklewood Cow, commented; “It’s truly wonderful to see some old friends making a stand for something they feel so passionately about. Their antics have brought a smile to the faces of everybody in our local community. Spread the word… POWER TO THE HERD!”. 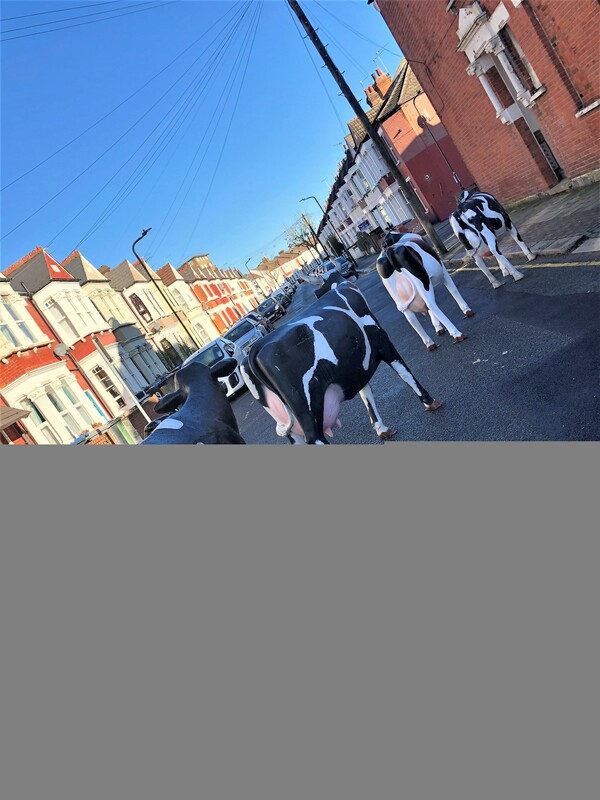 Who knows what they will get up to next - we’re expecting udder chaos! Follow @themetraders on Instagram for more amooosing updates & all the action. This press release was distributed by ResponseSource Press Release Wire on behalf of Theme Traders in the following categories: Entertainment & Arts, Environment & Nature, Food & Drink, for more information visit https://pressreleasewire.responsesource.com/about.